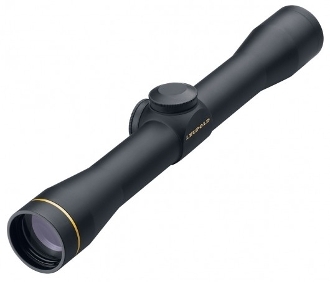 Leupold’s® Ballistics Aiming System™ is comprised of five specialized reticles – Boone and Crockett® Big Game, Varmint Hunter’s, LR Duplex, LRV Duplex, and the new SA.B.R. reticles – which take into account the variables crucial to accurate, long-range shooting. A special ballistics indicator ring allows users to customize their power settings for their cartridge’s ballistics, then saves that setting for easy reference in a hunting situation. With multiple aiming points for longer ranges and varying wind speeds, and infinite power selector settings to match your rifle’s ballistics, the Ballistics Aiming System can help you master the art of accurate, long-range shooting. It has proved so successful in helping hunters learn how to shoot accurately at long range, we’ve expanded your BAS options with additional reticles offering many of the same benefits as the original reticles. We’ve also made them available in more riflescopes than ever. With practice, the Ballistics Aiming System will teach you how to gauge the distance to your target, where to place your reticle for that distance, and even how to compensate for wind deflection. With the Ballistics Aiming System and some practice, you’ll consistently make shots you wouldn’t have attempted in the past.Accurate, long-range shooting is probably one of the most difficult hunting skills to master. For many hunters, it remains a combination of hard-won experience, intuition, and a little luck. Together, the reticles of the Ballistics Aiming System give the hunter very useful tools for successful hunts with clean and efficient harvests. By practicing with the Ballistics Aiming System, all hunters can add science to the art of long-range shooting, and master this important skill.One System, Five Unique ReticlesThe Boone and Crockett Big Game reticle and the Varmint Hunter’s reticle use the same principles to help you hone your long-range shooting skills, though each has been tailored to meet the needs of big game or varmint hunters. With practice, using each will become a natural part of your shooting. Unlike other range estimating reticles, the calculations made here are incredibly simple, and take the guesswork out of long-range shooting.Each reticle provides a series of aiming points. The first aiming point, the intersection of the Duplex® reticle, is to be used at 200 yards with most common cartridges, and 300 yards with several flatter shooting, longer-range loads. The Boone and Crockett Big Game reticle and Varmint Hunter’s reticle also provides you with two different power selector ring settings, indicated by large and small triangles on the power selector. These allow you to select the hold points best suited to the cartridge you are using. In some cases, the smaller triangle setting can be used with your slower, heavier bullet load, and the large triangle setting with your faster loads in the same rifle. The new SA.B.R. reticle also features holdover points and a power selector matched to different load settings for muzzleloaders and shotguns. The LR Duplex and LRV Duplex reticles are designed to be used only at the maximum magnification settings.For example, a 30-06 with a 180gr spitzer bullet and 2700 fps muzzle velocity would use the smaller triangle setting. In the same rifle, a 150gr spitzer bullet with 3000 fps muzzle velocity would use the larger triangle. We have designated three sets of cartridges to be used with the large and small triangle settings, and sight-in distances of either 200 or 300 yards, described as Group A (large triangle, 200 yard zero), Group B (large triangle, 300 yard zero), or Group C (small triangle, 200 yard zero). Verify the aiming points by shooting at the actual distances at which the hold points in the reticle are intended to work. With the LR Duplex and LRV Duplex reticles a shooter can tailor the reticle to his or her load by varying the magnifications, thus altering the subtensions. With all four reticles, remember: pratice, practice, practice!